Is University the Only Road to Success? The Fontes Foundation scholarship programme provides sorely needed technical and practical education to disadvantaged youth in western Ugandan villages. Uganda shares the fate of many developing countries, where university education is seen by the parent generation as the only way to have a successful life. This perception is based on the history of the civil servants of the past, where everyone who made it to university became a civil servant and automatically earned a salary. Today, the reality is different. The civil service is filled up with people, wages are low and working conditions are poor. The young graduates therefore fight for a job in the country’s formal sector, which is extremely limited and where competition is fierce. Only 12% of Ugandans pay taxes, meaning that they work in the “formal” sector. University graduates can easily wait for 2 years after graduating without any work, not even an internship. Zarika is part of the programme and branched out of senior four. In the long term she wishes to open up a hospital. In addition, university degrees are extremely theoretical and often based on outdated curricula, and the students are not given sufficient “life skills” and entrepreneurship skills to venture out on their own. Increasingly, young graduates have to compete with children of the upper-middle class that have been sent abroad to study in order to improve their chances on the job market. But even a graduate with a degree from the UK or the US can easily sit at home for 2 years before getting a job. Paradoxically, the employers are screaming for qualified workers. There is a huge shortage of medical personnel in Uganda, especially nurses and midwives. Companies lack plumbers, carpenters, welders; even drivers of heavy machinery are high in demand. At the same time, parents are breaking their backs, selling off family land and livestock just to send their children to university. 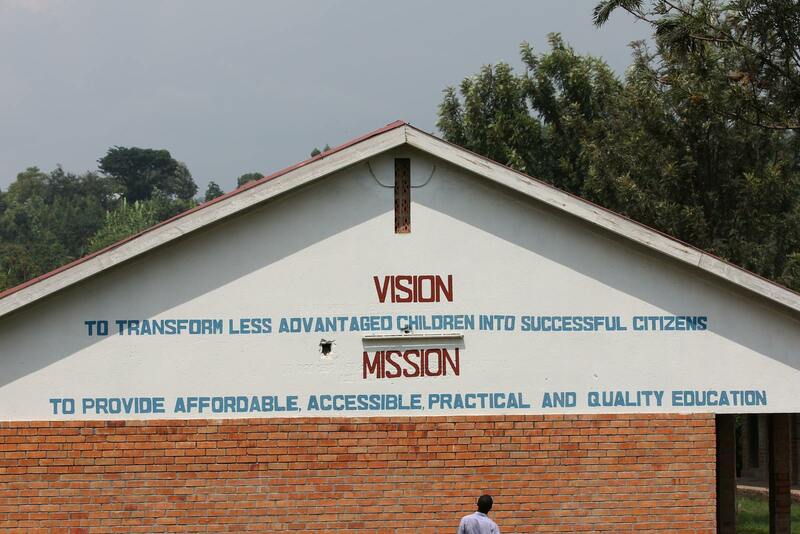 Our scholarship programme in Katunguru, western Uganda, was created out of the huge demand for education in the villages. Students and parents only had one goal: to complete high school in order to get a chance to go to university. However, university studies are extremely expensive, and as explained above, not always an easy career path. Therefore, we slowly started to introduce the possibility of going for a technical education after “O-level”, and not do the two years of “A-level” that mainly prepare you for an academic future. It has not always been easy to convince parents, guardians and community elders that have a more traditional view. But in the recent years, there has also been more and more debate in the media and by politicians and leaders about the need to develop practical skills and entrepreneurship skills in the young population. Kichwamba High School in Rubirizi, Kamwenge District in Uganda is another school where our scholarship students develop their skills. Fontes Foundation established the youth centre in Kampala as a response to the same problem. We also organised a study trip for all the scholarship students in 2013 to the nearby Wildlife school, to expose them to the possibility of a practical course. Last year, one of our students started a course in midwifery after she completed her O-levels, and this year four students are starting nursing school, only two are going to A-levels. After only two or three years these students will already be earning a salary and contributing to the development of the country. 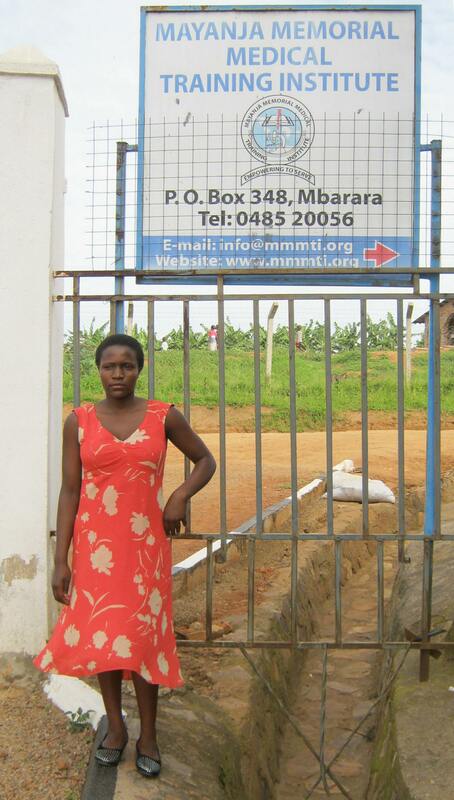 This year it is 10 years since our first water project was installed, and it is still providing safe water. Essential for this achievement were continuous support and trainings. 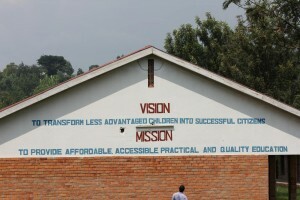 This long-term approach has also been tightly integrated into the Potentiam Youth Development Centre in Kampala. Providing safe drinking water has to be linked with long term educational activities in the villages in order to maximize the effects. One of Fontes’ core values is the long-term approach of our projects. Experience has shown us that a project only will last long if the implementer is willing to invest his resources over a decent period of time and provide the beneficiaries with ongoing support and guidance. Regular visits for follow up and capacity building in small steps are key to ensure the success of our projects to empower communities in an enduring and sustainable way. Many safe water projects in Uganda are unpleasant but illustrative examples of failed attempts to provide proper and long-lasting solutions to communities in need. 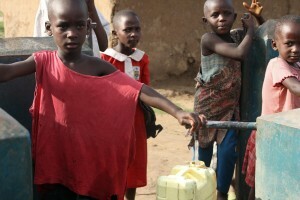 On average, a water project in Uganda is failing 3 years after its implementation. 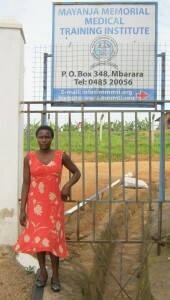 Fontes’ first safe water project in Katunguru-Rubirizi, western Uganda, was implemented in 2004. For more than 10 years it is providing water on a reliable basis! These beneficiaries are undergoing training in managing the water systems on their own. Education is the core of all development activities, but it takes time to see the results. Since 2012 Fontes has been providing professional training for disadvantaged youth through the Potentiam Youth Development Centre in Kampala. Naturally, the long-term approach was one of our major guidelines when developing the concept of this project. Our empowerment programme gives the students skills in applied business, entrepreneurship and personal development and in addition, through our mentorship programme, follows up and motivates the students through training and for 18 months into their professional lives. With every graduation, the network of Potentiam-Alumni is growing so that successful former students of the centre create opportunities of employment for the “next generation” of graduates. Fontes Foundation thanks all of you who supported our Christmas Campaign in 2013 and 2014. The Campaign is continuuing still and we want to include more donors into our “Fontes Family”. 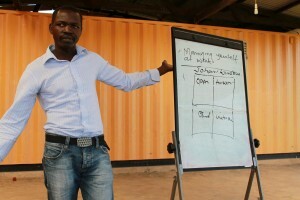 On top of this years agenda is the Potentiam Youth Centre. The youth empowerment project is our main focus, and in order to boost the success we are asking for support from our friends around the globe to advocate for the campaign in our name.